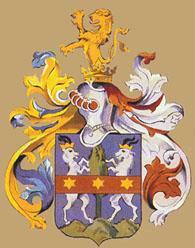 Peter Parchevich (1616-1674) is a representative of a distinguished family from Chiprovtzi. He was Doctor of theological and canonical law, who had studied in Loreto and Rome. On his return to Bulgaria in 1643, Parchevich devoted his efforts to the organization of an anti-Turkish coalition of the Catholic states. To this purpose, and blessed by the Pope, he undertook a number of diplomatic missions to Austria, Hungary, Poland, Venezia, Wallachia, Moldavia; he even visited Bogdan Hmelnitzky in the Ukraine. On account of his contribution to the defence of Christianity, the Habsburgs conferred a barony on him. Peter Parchevich’s activity was not an exception among the people of Chiprovtzi. For example, the biographies of the Chiprovtzi notables, and his contemporaries, Peter Bogdan and Philip Stanislavov were much the same. Representatives of the Parcheviches, the Bogdanovs, the Stanislavovs, the Peykiches, the Marinovs (some of whom belonged to the old Bulgarian aristocracy) were politicians and diplomats, but they also distinguished as Catholic bishops, scholars, administrators, and military men. These were the families under whose guidance Bulgaria was elevated to the patriotic impulse crowned by the anti-Turk rebellion of 1688. After its defeat many members of these families emigrated to different parts of the Austrian Empire. Nowadays their descendants live in various countries around the world. by the Chiprovtzi bishop Peter Bogdan Bakshev. Published in Rome in 1683.